Yesterday, I ventured from the house into the wet streets for the first time since Christmas Eve and, even at ten in the morning, the pavements were empty with many shops closed and few customers in those that were open. Yet I knew that Paul Gardner, the lone paper bag seller, would reliably be discovered sitting behind the counter at Gardners’ Market Sundriesmen at this time of year, opening for business at six-thirty as usual while the rest of the world slept. 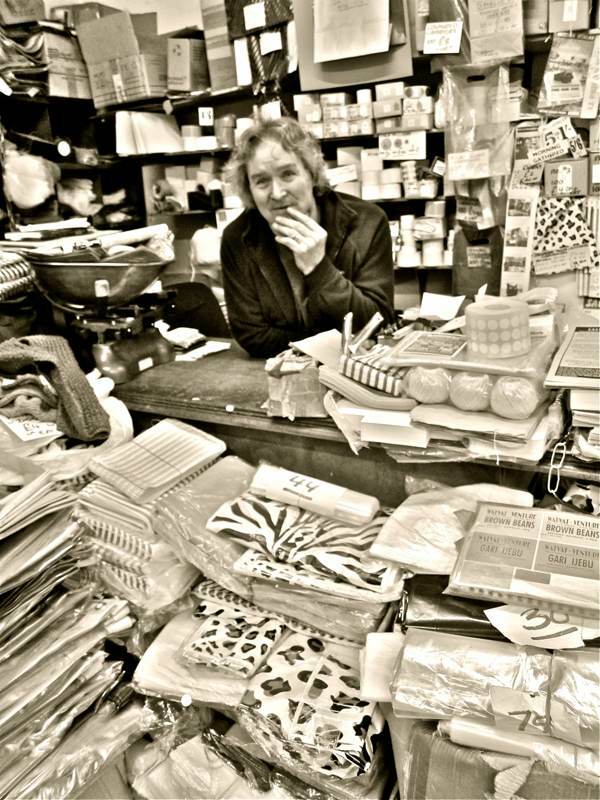 As the fourth generation in Spitalfields’ oldest family business, Paul cannot keep away from his shop which has operated from the Peabody Building in Commercial St since his great-grandfather James Gardner, the Scalemaker, opened up as one of the first tenants in 1870. Once upon a time, James peered through his window to the Royal Cambridge Theatre opposite – a vast music hall with a capacity of three thousand which filled the entire block, and where some claim Charles Chaplin made his stage debut – replaced in the nineteen thirties by Godfrey & Phillips Cigarette factory that stands today in the same location. 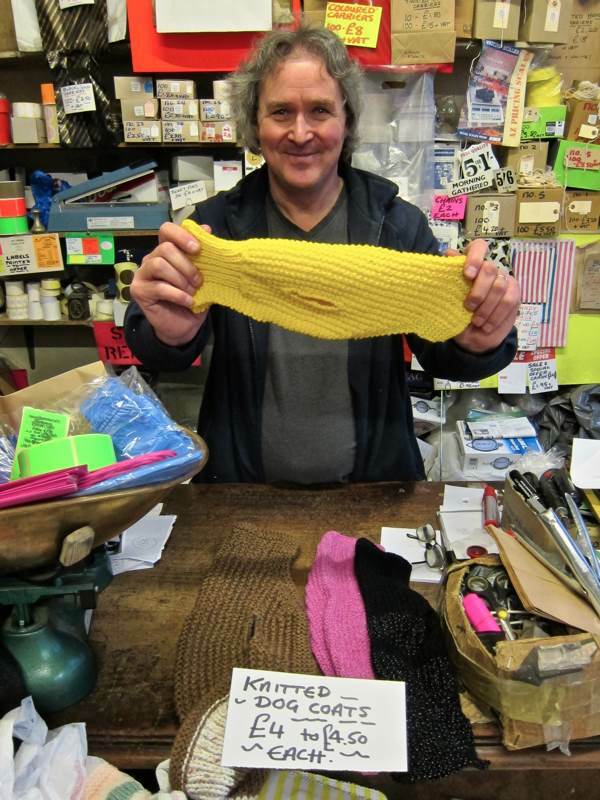 Through all these years, a Mr Gardner has sustained a routine of shop-keeping that, over more than a century has surpassed all others in the neighbourhood for its longevity. Thus, Gardners’ Market Sundriesmen has become the place where time has been measured out in scales and parcelled out in paper bags in Spitalfields. At this season, when the clocks wind down before the momentum regains its pace in the New Year, Paul waits behind his counter in the empty shop, maintaining a conscientious vigil by choosing to be present lest a customer should come along. A seasoned professional at waiting, Paul sits ever-hopeful of custom and, in the normal run of things, his expectation is always fulfilled. Yet, at this time of year, he accepts that the vigil maybe without result, and so I went along to keep him company in the shop for the last hours of business at the end of the hundred and forty-second year of Gardners’ Market Sundriesmen. Until I arrived, Paul had spent the morning studying his copy of Classic Rock magazine with one eye upon his Ford Fiesta parked directly across the road. Whereas in the week before Christmas, there had been a line of people preventing me getting in the door, now I was able to settle down upon a pile of paperbags to pass the time quietly with Paul while we awaited the sole customer he was expecting – someone from the gift shop at the Tower of London was coming to collect an order of paper bags. The telephone rang, shattering the calm of the empty shop. Could it be a customer on the hot-line demanding a vast bulk order of paper bags? 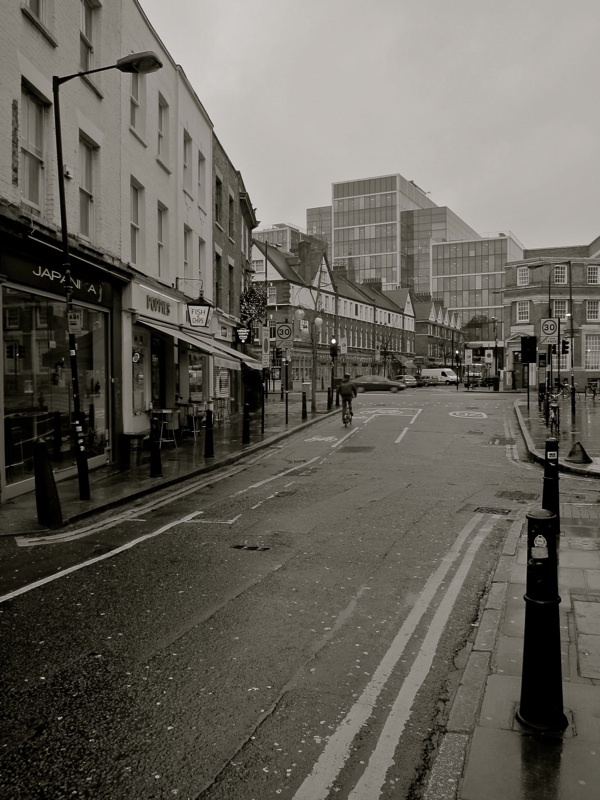 “Bishopsgate 518″ answered Paul expectantly, his constant mantra on lifting the phone, as the call was revealed to be Mr Sammy from the Beigel Bakery ringing to send his New Year Greetings. And then a skinny young Portuguese man with barely a word of English arrived with a trolley from the Tower of London giftshop. We stacked it up with the blue candy-striped bags that suit souvenirs from the Tower of London, and the Portuguese fellow found the language to explain that he was a Tottenham supporter before he wheeled off his barrow of bags through the falling rain. “All the dogs in Frinton have them already…” A new line for 2013 at Gardners’ Market Sundriesmen, dog coats knitted by Paul Gardner’s mother. I’d love to have a rummage around in that shop. I bet there are some vintage gems hidden away. Happy New Year to you and all of your ‘New family’ of followers. Looking forward to your 2013 offerings. What a marvellous post to start the new year with. Happy New Year gentle author, Happy New Year gentle author! 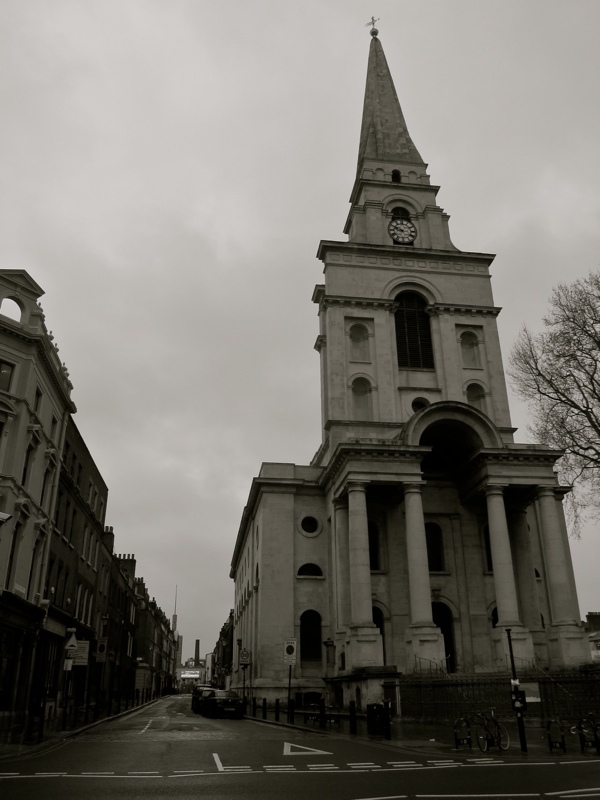 Happy New Year to all the inhabitants of Spitalfields, especially you, Gentle Author. I know how Paul feels. I opened my shop yesterday (31st) and sat playing Solitair on the computer from 9.00a.m. to 5.30p.m. I had one customer who spent £3.70. But at least my one customer got her stapler and staples. That was utterly delightful. What an honorable man! Yesterday our chihuahua George became the proud owner of one of these terrific dog coats . . . yellow and green stripes, he’s now running around looking like a little bumble bee . . . thanks’s to Paul’s mum’s knitting skills! Dog coats… I think George the Chihuahua would have looked like a large bumble bee .